Perhaps you’ve seen, or maybe even used, them: the small, solar-powered golf cart fans designed to keep you cool on the course. These little clip-on fans generate their own power straight from the sun. It’s pretty amazing, but it’s on such a small scale that a tiny solar-powered fan isn’t that significant. What is significant is a solar panel golf cart. Perhaps someone studied those little fans on a golf course years ago and wondered about the possibility of powering a golf cart. Golf carts are heavy, and they are meant to run for hours and miles at a time. They’re electric vehicles that can reach speeds of approximately 15, sometimes 19 or 20, miles per hour depending on the make, model, and year of the cart. They require electricity or gasoline to run. Certainly, a solar-powered golf cart wouldn’t be possible. Or would it? A solar-powered golf cart is indeed possible. Such vehicles have been in use for several years and are gaining in popularity. They exist, and they function well. Changing the power source to solar doesn’t diminish a golf cart’s speed or performance. 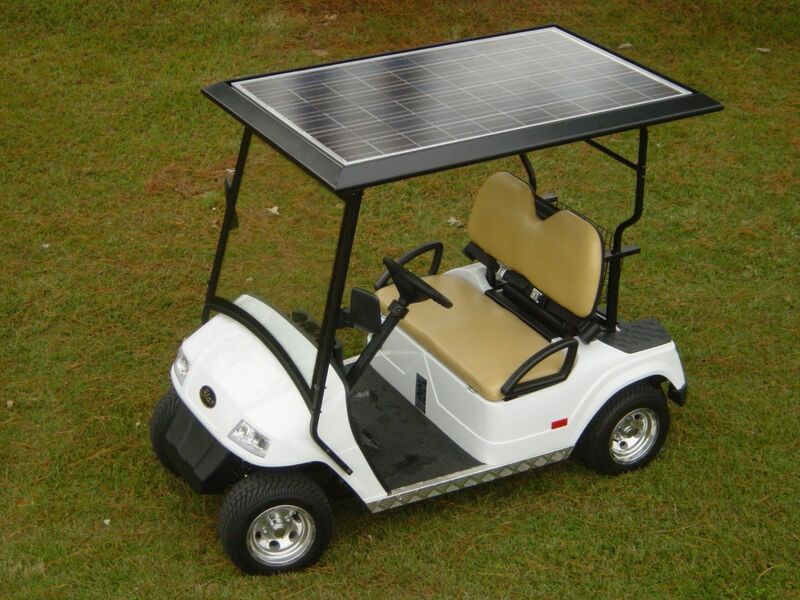 In addition to continued performance power, there are reasons why you should consider a solar panel golf cart. Before we explore those reasons, it’s worthwhile to note that the below information is generalized to all electric golf carts and panels. Some of the information may vary from one golf cart brand to another or even from model to model in the same brand. Also, solar panels and systems are manufactured by multiple companies, and some specific information may differ slightly from the basics presented here. With that in mind, let’s look at why you might want to consider a solar panel golf cart. Time and trials have alleviated most concerns. Solar panel golf carts continue to boast performance-related benefits. 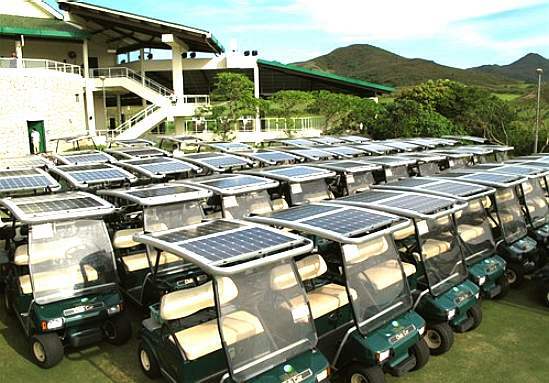 Solar panel golf carts boast as much power as non-solar powered carts. They aren’t slow; further, they stop and start with as much vigor as high-performing electric or gas carts. The range (both driving distance and time) of a solar-powered cart is better than a traditionally powered golf cart. Go the distance and last longer with a solar panel golf cart. A solar-charged cart goes up to five miles farther and has 10 percent more driving time per charge than a cart that has to be plugged in to charge. Another benefit is that solar cars are much more battery-friendly. Using solar power to charge your batteries extends their life significantly, saving you money in the long run. With the sun powering your golf cart, you’d no longer worry about being out on the course too long and having to deal with a dead battery. Likewise, you’d have no more hassles with plugging the battery into an outlet and having to watch to prevent it from overcharging. Solar charging improves the performance of your cart as well as your enjoyment of the game because you can forget about your battery and focus on golf. Benefits of solar don’t stop with performance and pleasure. The environment receives advantages, too. Solar energy is clean. No carbon dioxide is released into the atmosphere as it is when batteries are plugged into the wall to charge. Similarly, no fossil fuels are consumed as they are in gas-powered golf carts. The sun’s energy is both clean and renewable. With their renewable, clean energy and lack of generated pollution, solar charged golf carts are an Earth-friendly option. You can help ensure that golf courses will be around for a very long time. Together, these can help make solar power an affordable option for your golf cart. Additionally, you will likely save quite a bit of money on your electricity bill without having an electric vehicle drawing from your home’s electricity supply. Individuals aren’t the only ones who benefit monetarily from solar power. When entire golf courses convert their fleets to solar-powered vehicles, they can slash their annual charging costs by about 20 percent. Whether you want to enhance the performance of your golf cart, help the environment, or save money in the long-run, you’re sure to benefit from changing your power to the sun. Once you’ve determined that you’d like to pursue the possibility of transforming your cart into a solar one, it’s time to look at the products that are available to do so. It can seem overwhelming until you break down the options. Kits and full roof panels can work with your current battery bolt system, wither its 36-volt or 48-volt. Solar kits and panels also work with even bigger low-speed vehicles (LSVs). Whether you’re using a kit or a new roof with built-in panels, the general principles are the same. Photovoltaic (PV) panels and a controller team up to collect and convert energy from the sun into electricity to charge your golf cart’s battery system. The PV panel is on the roof, and the controller can be placed almost anywhere on your cart. Some manufacturers have specific requirements for controller placement, so be sure to follow the instructions for your particular solar brand. The wiring that connects the solar system to the batteries is secured to the frame so it’s out of the way. It’s possible to install and wire your golf cart’s solar power system yourself, wiring the batteries, controller, and panels together can be dangerous. Authorized installers with proper equipment and experience can install your energy system for you. Once installed, the system automatically begins collecting energy and generating electricity. The sun charges the batteries while you’re golfing or otherwise using your cart. You don’t have to give your batteries another thought. While it’s true that you don’t have to think about your system once it’s installed and you’re on the links, you might have some concerns that others have had, too. Solar roofs and bolt-on kits weigh more than your golf cart’s original roof. It’s logical to wonder if the extra weight will bog down your cart. Compared to the total weight of a golf cart (approximately 1100 pounds), the weight of the solar panels (less than 50 pounds) isn’t enough to affect operation. You’re on a golf course, and the roof of your cart is made of high-tech PV panels. Is this a dangerous combination given flying golf balls? 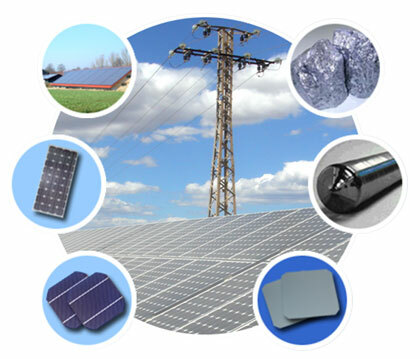 Fortunately, PV panels are very durable and covered by tempered glass, also known as safety glass. Unless a ball hits it at an exact right angle, nothing will shatter and break. The ball will just be deflected. Solar panels charge your batteries quickly on a sunny day. What about a cloudy one? While the charging time and productivity won’t be as efficient on a cloudy day as on a sunny one, charging will happen nonetheless. All it takes is daylight. You can hit the links with confidence even when it’s cloudy. Many valid reasons exist for you to consider going green on the greens. Consider doing so for yourself, your wallet, your planet, and your game of golf.